When it comes to empathy and inclusion, which company department would you expect to see at the forefront? Your guess might be Human Resources – but bizarrely, you’d be wrong. In fact, according to many who work in the field of “soft skills” and workplace inclusion, HR departments are the least likely of all departments – more than even CEOs and board members – to take on an office empathy programme. 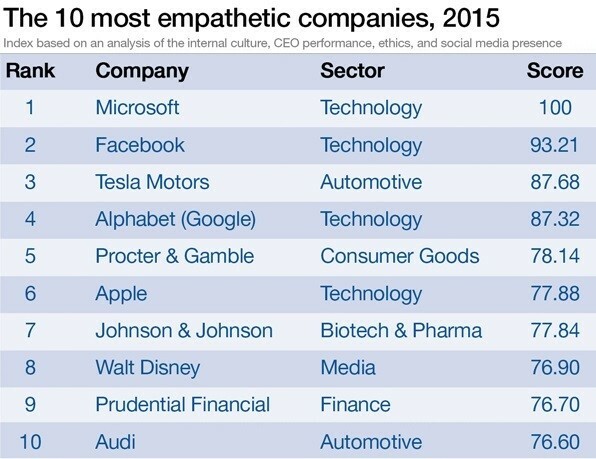 According to data in the Global Empathy Index, the more empathic the company the higher its growth and productivity rates. Most senior business leaders understand that empathy correlates with profit. But all too often, it’s not leaders but HR departments that call meetings with diversity consultants and inclusion experts to try to explain why empathy has no place in their organization. Human resources appears to be retreating to safe territory: a landscape of process, dotted with familiar bunkers of rules and policies. This mentality helps maintain a status quo but rarely inspires. Perhaps it can be explained by the diminishing role of HR in recent years, which has made departments reluctant to rock the boat by advocating anything that might be seen as a departure from hard process. Over the past decade, HR departments in most established companies have become increasingly administrative. What was once a full-service monolith is fragmenting into a collection of outsourced functions. Strategy has become mostly about which external company can provide the right kind of service for the lowest price? Such tactical efficiency has come at the expense of empathy and a company’s relationship with its people. And it leaves big strategic questions unanswered: How is the company going to attract the best talent? How is it going to hire female board directors and allow them to thrive? How is it going to change the culture of exclusion and challenge unconscious bias? Putting process before people leads to a deficit of inspiration. It leaves the department unprepared for the kind of work that creates true vision and leadership. In other words, the typical HR department is now often the least likely department to instigate company-wide cultural change. But this isn't true of all companies: plenty have reported high levels of empathy within their walls, according to the Global Empathy Index. Here are 10 of the highest scorers last year. But why has this deficiency been allowed to happen? Partly this is due to insecurity. Process, whether internal or outsourced, can often be essential to the running of a business. HR can continue carrying them out and the rest of the business is silently grateful. Why take risks by implementing change? Partly this is due to an undervaluation of “soft skills” and the hiring of associates purely on account of their domain-knowledge and “hard skills”. And partly, it is due to a reluctance to take risks and to challenge vested interests and long-established structures. So, what can HR departments do? They must stand up and speak out in favour of empathy, and challenge business in general to follow suit. Instead of kowtowing to process, they should make sure process serves the people. If businesses are to survive in an era when technological and demographic change makes the future of work uncertain, empathy programmes will be vital. HR departments should invest in diversity and inclusion as a key ingredient of talent management. And they should make it a strategic focus, outsourcing only those functions that distract from this vision. If HR departments feel that they don’t have the kind of people who can drive such a programme in the short term, then the quickest fix is to appoint a Chief Empathy Officer: somebody on the board who is empowered to deliver this much-needed transformation. To survive in the empathy era, HR must put people over process. The process revolution has had its day; the people revolution is only just beginning. Authors: Belinda Parmar is the CEO of The Empathy Business and Stephen Frost is the CEO of Frost Included. Both are World Economic Forum Young Global Leaders.